Road trips are part of the great American experience, but you always want to remain safe while you are out on the road in order to keep things fun. You need to take a few common sense tips along with you when you decide to hit the road. It's time to go hands-free with Android Auto. Android Auto is a popular app that mirrors your favorite features from any android device to your vehicle's infotainment system. All Android Auto features can be controlled by the sound of your voice. Distracted driving causes more than 325,000 accidents each year. Don't become another statistic. 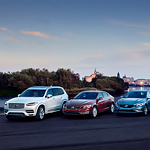 If you are in the market for a Volvo, then the Volvo Certified Pre-Owned program just might be the best way for you to get great value without sacrificing quality. 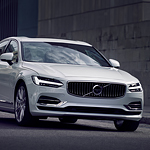 Rather than buying a used car without any warranty, the Volvo Certified Pre-Owned program gives you all the comforts that a Volvo dealership has to offer. There are so many different options that you can utilize to make a vehicle your very own. When it comes to affordability, you want to try and find a vehicle that provides many of these features without having to pay extra. Volvo has packed a ton of great convenience and comfort features into the Volvo S90 this model year. You'll love features like a moonroof with automatic sun shade technology, an impressive amount of cargo space in the rear of the vehicle and heated seats throughout the vehicle. The infotainment system is a standard 9-inches. One of the best things about living in Hyannis, MA is that you're never too far from the beach. However, if you've got a growing family, a relaxing beach trip can turn into a big logistical challenge as your struggle to get your loved ones and all the stuff you needs for a relaxing day at the beach you’re your car. Are you searching for your dream car? Are you trying to find an incredible vehicle? Are you wondering how you can best locate a car that fits your needs? It's time to consider investing in a vehicle with front-wheel drive or rear-wheel drive. Each of these options comes with benefits you're going to love. Here's what you need to know.